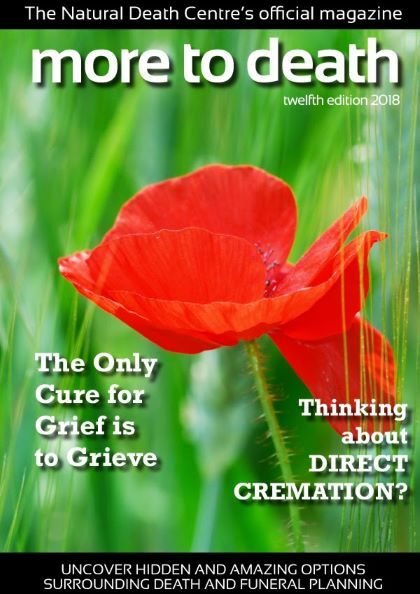 The Natural Death Centre is run on a shoestring without any funding other than subscriptions from ANBG members and members of the Natural Death Society, along with donations to help with administration from funeral directors and celebrants who support our values. 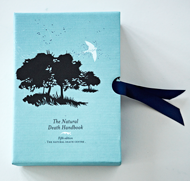 Sales of the Natural Death Handbook provide a further small income. We are therefore always hugely grateful for donations from the public to help us continue the invaluable work we do. If you would like to help support us, any sum , no matter how small, will be greatly appreciated, and all money received goes directly to fund the running of the charity. Don’t forget to Gift Aid your donation, if you are a UK tax payer or pay capital gains tax, then your donation could be worth as much as a third more to the Charity - at no extra cost to you. Just fill in the Gift Aid declaration on the form below and we will do the rest. If you would like to include some information with your donation please feel free to do so. Simply attach a covering letter. Funeral Directors - are we recommending you? If you are a flexible, transparent and accomodating funeral director, we want to be able to tell people about you. If you are a funeral director and can commit to the criteria listed here, we would love to have you on our list so that the public can find you. To help us with the costs of administering your information and adding your details to the website and the Update Sheets included in every copy of our Handbook, a small annual donation is requested from you. The trustees have agreed that £50.00 per annum for the main office and £10.00 per annum for each additional branch is an appropriate amount. Please complete and return the Recommended Funeral Director information form, along with a cheques payable to The Natural Death Centre for the appropriate amount. Alternatively, payment can be made simply via PayPal using the button below. If you require any more information please contact us.